Salsify (Scorzonera hispanica) is a root vegetable and member of the genus Scorzonera in the sunflower family (Asteraceae). The thick black skin of the salsify root is usually considered inedible and can be removed either prior to or after boiling. When eaten, it is usually eaten with other vegetables. Here are 7 health benefits of salsify. 1. Salsify can help develop digestive health. Salsify is a great source of fiber. Dietary fiber is vital for treating constipation, and promoting bowel movements, and preventing of gastrointestinal cancer. Also, much of the fiber is in the form of inulin, a rare prebiotic helpful for the proliferation of bifidobacteria. This may help enhance nutrition absorption. 2. Salsify can help progress your immune system. Inulin found in salsify can help enhance the immune system. 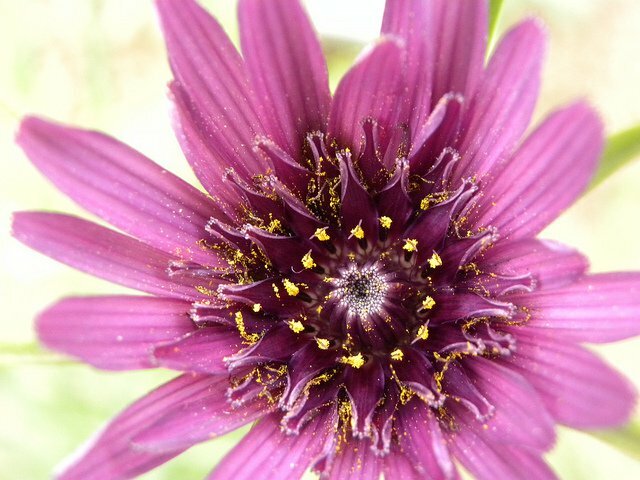 Also, one cup of salsify contains 18 percent of vitamin C. Vitamin C is hypothesized to increase the production of cytokines and lymphocytes to fight infections. 3. Salsify can help fight off various cancers. The vitamin C found in salsify can act as an antioxidant against oxidative stress. This prevents healthy cells from forming into cancer cells. 4. Salsify can help manage your blood pressure. An increased potassium intake and decreased sodium intake has been linked to a lowered blood pressure. One cup of salsify contains 505 milligrams of potassium and only 26.6 milligrams of sodium. 5. Salsify can help improve heart health. The recommended 4700 mg of potassium is not obtained by many individuals in the United States, according to the National Health and Nutrition Examination Survey, despite the benefits of increased potassium intake. 6. Salsify is a superb source of manganese. Manganese is important for many enzymes that control blood sugar, energy metabolism, and thyroid function. One cup of salsify accounts for 18 percent of the recommended value of manganese. Deficiencies in manganese could be associated with impaired fertility, growth retardation, birth defects, and general weakness. 7. Salsify is low on the glycemic index. Salsify can be slowly absorbed into the bloodstream, which prevents sugar crashes, sugar cravings, and mood swings. This provides long-lasting energy for athletes. Anderson, J. W., & Bryant, C. A. (1986). Dietary fiber: diabetes and obesity. The American journal of gastroenterology, 81(10), 898. Pokluda, R. (2012, February). Selected Nutritional Aspects of Field Grown Root Vegetables in the Czech Republic. In Southeast Asia Symposium on Quality Management in Postharvest Systems and Asia Pacific Symposium on Postharvest Quality 989 (pp. 315-322). ŚWIąDER, M. A. G. D. A. L. E. N. A., & Garden, B. (2009). Interesting species of vegetable plants in the Collection of Botanical Gardens–Center for Biological Diversity Conservation of the Polish Academy of Sciences. Herba Polonica, 55(3), 335-340.